January to September 2014: Volkswagen remained the largest passenger vehicle manufacturer and top-selling car brand in Europe with the VW Golf Europe’s favorite car model. VW was followed by the French PSA and Renault groups as Europe’s top car-producing conglomerates and by Ford and Opel as the top-selling marques. Sales of VW Golfs increased even faster than for the Ford Fiesta and Renault Clio. (*) data for Malta n.a. There were only minor changes in the order of the top passenger vehicle manufacturers in Europe during the first nine months of 2014 compared to a year ago. Only three manufacturing groups had weaker sales. The Volkswagen Group outperformed the broader market to once again increase the group’s share of the European new car market to more than a quarter. The PSA Group underperformed slightly, mostly due to continued weakness in the Citroen brand, although Peugeot sales were also unspectacular. The Renault Group saw the most growth of the larger groups with both Renault and Dacia experiencing strong growth. Ford narrowly outperformed the broader market while the GM Group was the only major group with weaker sales. In GM’s case due to Chevrolet withdrawing from the European market. GM’s weak performance allowed Ford to reclaim its position as the fourth largest car-manufacturing group in Europe. Strong growth by Nissan allowed the Japanese manufacturer to overtake Hyundai. The South Korean company and Honda were the only other manufacturing groups with negative numbers. Mitsubishi (+31%) were the most improved manufacturing group in Europe during the first three quarters of 2014. Mazda (+22%) and Suzuki (+11%) also experienced strong growth. There were no changes in the rank order of the ten most-popular car brands in Europe during the first nine months of 2014 compared to a year ago. Market-leader Volkswagen underperformed the broader market while Ford and especially Opel / Vauxhall had stronger sales. Renault was the most improved of the top brands and the only marque to have increased by double-digit percentages. Peugeot also outperformed the broader market. Audi, BMW and Mercedes all increased sales by just over 4% while Citroen and Fiat both maintained their relative positions with increases in sales of more than 2% each. Outside the top-ten list, Skoda overtook Toyota; Nissan passed Hyundai, while Dacia leapfrogged both Seat and Kia. Jeep (+47%) and Mitsubishi (+31%) were the most-improved brands. Only seven brands had weaker sales during the first three quarters of 2014. Worst performer was Chevrolet with sales down by two-thirds due to the American company withdrawing from the European market. Sales of Smart cars were down 16% – a new model is due in the final quarter of the year. Alfa Romeo was the only other brand with sales down by more than 10%. The VW Golf increased its lead as Europe’s favorite car model during the first nine months of 2014. 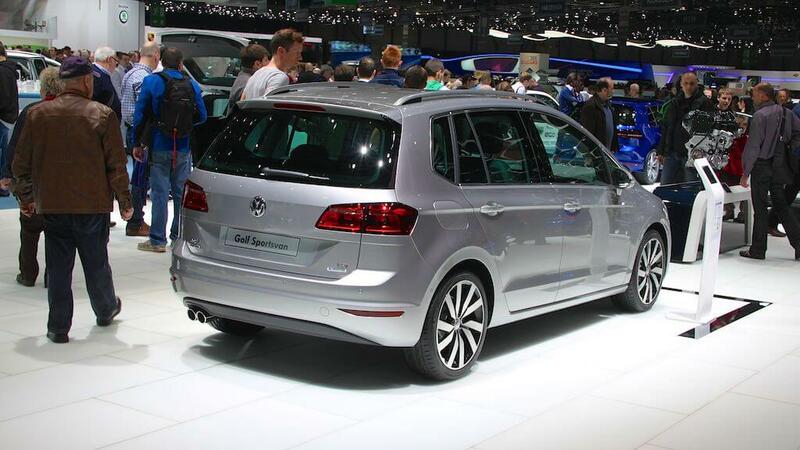 Golf sales thus far this year are up 15% – the only double-digit growth of the top models. The Ford Fiesta sales were up near 10% – to some extend helped by the expanding British car market where the Fiesta is the best-selling car model. The Renault Clio and Volkswagen Polo maintained their position from a year ago despite underperforming the market. More surprising was the Opel / Vauxhall Corsa: it took fifth place from the Peugeot 208 despite being only months from being replaced by a completely new model.